I wasn’t sure what to expect with the art book for Assassin’s Creed IV Black Flag, I still haven’t actually played the game as I felt kind of burnt out on the series. I like pirates though and when the art book came in for review I thought I’d give it a shot. I was surprised when the book arrive, it’s a thick hardcover book with the main character of the game standing on a shore with waves breaking around his ankles. A ship with takes up most of the background with sails unfurled though it is not in as sharp of detail as the main character which is the focus of the cover. His cowl covers his eyes and holds a bloodied sword in one hand and a flintlock pistol in the other. At his feet slightly obscured by the waves is a dead man. As covers go it’s great for setting the tone of the book, it immediately conveys a sense of who the characters is while also manages to be both beautifully detailed and yet violent. This is no computer generated art, it looks like an oil painting. That’s just the slip cover. If you take it off the book is jet black with an Assassin’s symbol/skull combo embossed onto it. As much as I like the jacket image, I almost prefer the cool simplicity of the book without it. There is an introduction by Brand Art Director Raphael Lacoste who explains the main pillars of the art direction for the game: Diversity, Epic, Luminous and Awe Inspiring. He then goes into greater detail explaining the theme that they tried to use for different locations and the feelings they are meant to inspire. 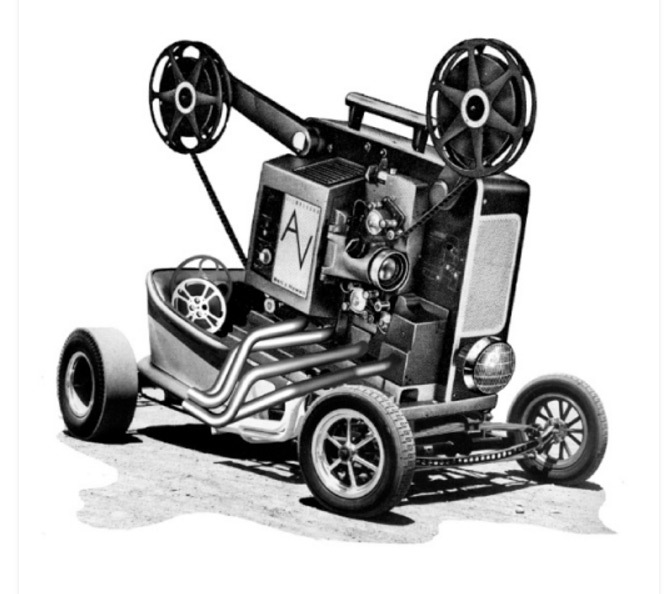 It’s a short but interesting look into what went into the art direction. 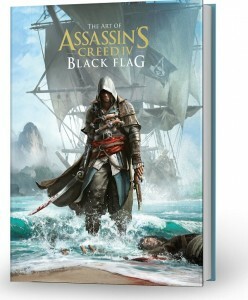 The book then launches into different sketches, paintings, and 3D concepts that went into the conception and production of Assassin’s Creed IV Black Flag. The first chapter is about Abstergo. The chapter shows how much effort went into the interior of Abstergo Entertainment, but also how much thought went into the architecture of the building itself. Short descriptions detail the effort to try and keep everything connected thematically while still providing a unique appearance that showed off the modern side of the game more. Concept art is shown of different interiors that they drew up and how much of that influenced the final version of Abstergo Entertainment. There’s art for the Industrial portion of Abstergo, which is much more cold and direct in appearance. Some concept ideas that were cut from the game are shown for Abstergo and you can see that the artists involved infused a lot of ideas into the imagery, like a vault for Templar’s most prized artifacts. Multiplayer character models are briefly touched on. 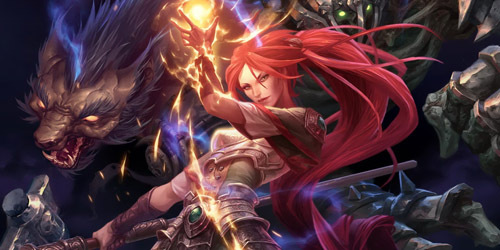 Second chapter is devoted to the characters of the game. It starts with showing the main character Edward Kenway and some brief explanations about some of the design decisions made. The book contains sketches of different outfits and tattoos of Edward to give an idea of what they played around with, though since I haven’t played the game I’m not sure which made it in. They’re all pretty cool, especially the Mayan variation of his uniform. The Pirates and Templars get their turn with character sketches and there are some great full page prints of some oil painted pirates that are just fantastic. They’re made with bold strokes and are the kind of art I like regardless of its connection to a video game. The next chapter focuses on three of the main cities used in the game; Havana,Kingston, and Nassau. Of these locations Havana takes up a greater part of the chapter and is another stunning collection of artistic portraits. Page 58 had a great street view, 60-62 contained an amazing landscape and page 64 has this cool rooftop scene with white birds flying below a man. 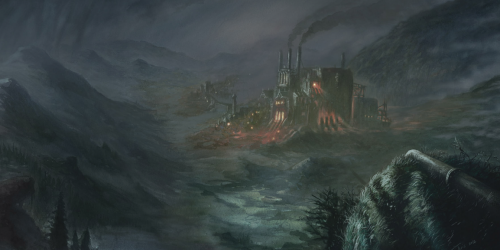 Kingston has a much darker look in the concept art than either of the other two cities in the chapter and there’s some interesting detail in this chapter about artistic choices that they made to convey certain feelings of order for that map. Nassau has a unique look from the other cities with a much more random appearance to the buildings. There’s a lot of ship parts and a sort of sail look to the tents in Nassau that really highlights it as a place for pirates. The chapter is called a tale of three cities, but it’s really a tale of four as the book includes concept art from a fourth city, Port-Au-Prince. A decision was made to cut the city but the art for it looks interesting enough that if there is DLC for the game I’d hope they’d think about turning the concept art into a reality. After that the book delves into exploration and all of the locations that aren’t the main cities. Some of the best art of the book is here with a variety of outdoor locations that span from large cliffs, to fishing villages, to caverns and temples. There are panoramic scenes and claustrophobic sketches, as well as both indoor and outdoor settings, all well done and covering a wide range of settings. After spending so much time with the backgrounds the next chapter focuses on the life of pirates. The campfire stories, the day to day life, the weapons and the ships are all covered. The weapons are awesome to look at of course but my favorite part of this chapter is the breakdown on the ship designs and how they’re put together, even down to the original blueprints of the ships. As great as it is to see how the ships were put together the chapter that follows this one is about the sea battles and goes into detail about how they tear each other apart. There’s a great rendering of a sea battle on page 169 of multiple sips engaged in side by side combat that is lit up from the fire of the cannons between the ships that’s worth checking out. The final chapter is about the world beneath the waves. The pictures describe an atmosphere that is alien and threatening, while at the same time filled with potential discovery. One picture shows the mast of a sunken pirate ship in the distance along with several silhouettes of sharks circling it. The chapter speaks of the different ways they tried to create a threatening environment, full of sharp stalactites and dangerous animals, while balancing that with the reward of treasure. I’ve never really picked up an art book for a video game so I don’t know if this is common with such things, but I’m really impressed with the book covering the art of Assassins Creed IV Black Flag. It’s when a series starts putting out sequels quickly to accuse the publisher of lacking creative ambition, but this book really shows of the insane amount of work that is put into these games from just the point of conception. Several images are laden with creative ideas that never reached the final game, not due to a lack of ambition but because of an over abundance of it. My wife paints and she asked me if this amount of art and dedication is put into every game because she was impressed with the designs, and I had to tell her I wasn’t sure. I’d almost hate to think that there are a lot of cool game inspired paintings that were created and just sitting in storage somewhere. If you love the game and the art involved then I absolutely recommend picking up this book. I like pirate stuff and pirate related art so as someone who hasn’t even played the game I’m impressed and would even buy prints of some of the art within because I like them so much. I almost wish there had been more than just some simple blurbs about the pictures within as some of the choices the artists involved made and some of their unique visions and ideas for Assassin’s Creed would be fascinating to hear more about. After reading this book I now have to play the game to see how they put it all together. 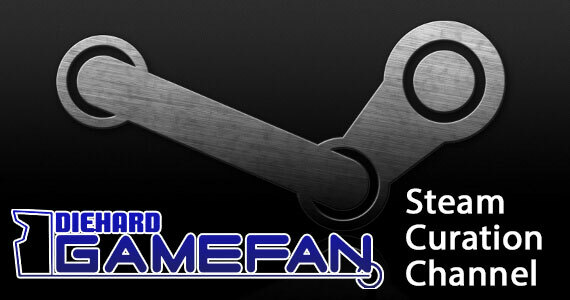 Diehard GameFAN’s 2012 Tabletop Gaming Awards!